Editor in Chief, Georgia Journal of International & Comparative Law, 1992-1993. Author: "Extraterritorial Application of the Endangered Species Act of 1973," 21 Ga.J.Intl. & Comp.L. 575 (1991). Board of County Commissioners of La Plata County v. Colorado Oil & Gas Conservation Commission, 81 P.3d 1119 (Colo. App. 2003). 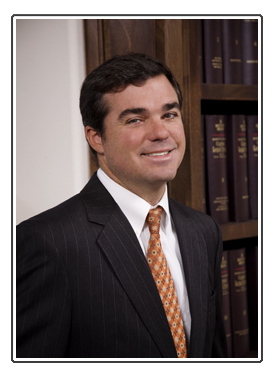 Jeff's practice focuses on civil litigation, land use issues and land use development, on the representation of local governments, and oil and gas law. Mr. Robbins has extensive trial experience involving general business matters, real estate disputes, condemnation and land use issues, governmental and administrative law issues, and adverse possession disputes. He has developed considerable expertise in litigating real estate and land use controversies in state and federal courts. Mr. Robbins has appeared before the District Courts in Southwest Colorado, before numerous County and Town officials and boards, before State Agencies, and before the United States District Court for the State of Colorado. Mr. Robbins has a wealth of experience in governmental law, and has served as County Attorney for La Plata County (12 Years) and Archuleta County and is currently Town Attorney for Bayfield and Silverton, Colorado. In these capacities, he has provided litigation counsel and general local government legal services to Boards of County Commissioners and Town and City Councils as well as numerous governmental departments. With this experience in hand, Mr. Robbins now frequently assists private parties in their interactions with local governments. Mr. Robbin's oil and gas practice includes the representation of local governments in the regulation of the oil and gas industry. He was appointed by Governor Hickenlooper to the 2014 Colorado Task Force Reguarding State and Local Regulation of Oil and Gas Operations. In 2012, he revamped Boulder County's 20 year old oil and gas regulations and has since used this experience to assist other front range communities in crafting local regulations over the oil and gas industry.